Our partners at Atlanta University Center Robert W. Woodruff Library are very excited to announce the following new digital collections from Spelman and Morehouse that they are hosting on Digital Commons as part of the CLIR Our Story grant. Thanks goes to Aletha Moore and Josh Hogan at AUC for their hard work in getting these collections posted, and to the Digital Library of Georgia and Spelman College Archives. This collection is comprised of 612 issues of the Spelman Messenger spanning 1885-2016, featuring school news, articles by students, creative writings, book reviews, alumni notes and obituaries. This collection is comprised of 109 volumes of Catalogs and Bulletins from Spelman College from 1881-2012 providing information on degree programs, policies and procedures, fees and administrative issues, academic course offerings, faculty, staff and board members. 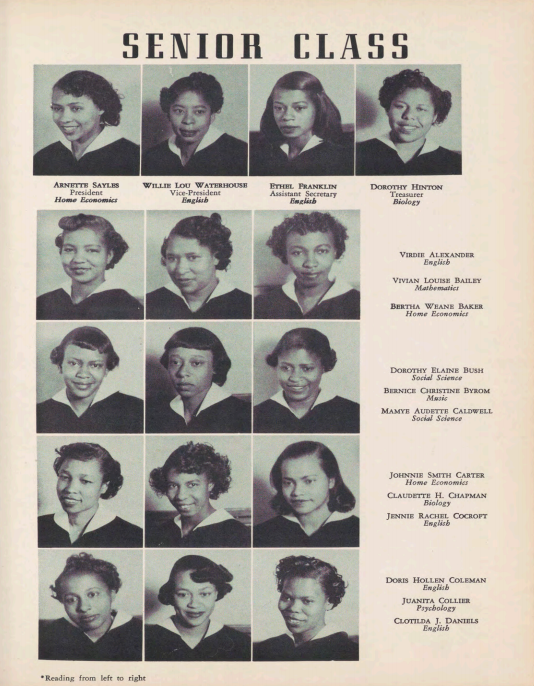 Posted here are yearbooks from Spelman College spanning 1951-2007. Posted here are the Torch yearbooks from Morehouse College spanning 1923-2013. Featured image: Spelman College, “The Sphinx Yearbook 1951” (1951). Spelman College Yearbooks. 1. Users can find the Woodruff Library content in the Digital Library of Georgia (see http://dlg.galileo.usg.edu/Institutions/auu.html), the Woodruff library’s own site (http://digitalcommons.auctr.edu/), and in the Digital Public Library of America (https://dp.la/search?partner=%22Digital%20Library%20of%20Georgia%22&provider=%22Robert%20W.%20Woodruff%20Library%22&page=1). A beautiful idea which places Alumni in touch with each other as time goes forward.